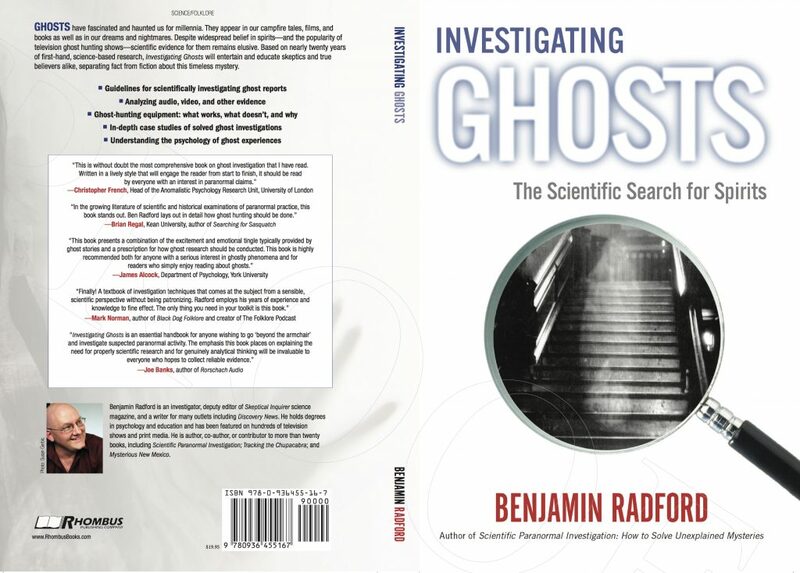 Over the new week or two I'll be posting some blurbs and reviews of my new book Investigating Ghosts: The Scientific Search for Spirits. It is currently available as an e-book at Amazon.com and will be available in print in a few weeks (preferably at your local independent bookstore!). 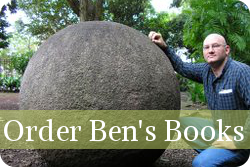 “With the plethora of television programs, websites, and books on ghost hunting today, Benjamin Radford takes a timely and welcome look at the field, and sets out clear, practical guidelines for would-be ghost hunters. This enjoyable and informative book is no-nonsense in its approach and is informed by the history, folklore, and psychology of ghost belief. Neither skeptic nor believer, Radford argues for a meticulous and sober approach to investigating hauntings.” --Owen Davies, University of Hertfordshire, author of The Haunted You can find more on me and my work with a search for "Benjamin Radford" (not "Ben Radford") on Vimeo, and please check out my podcast Squaring the Strange!